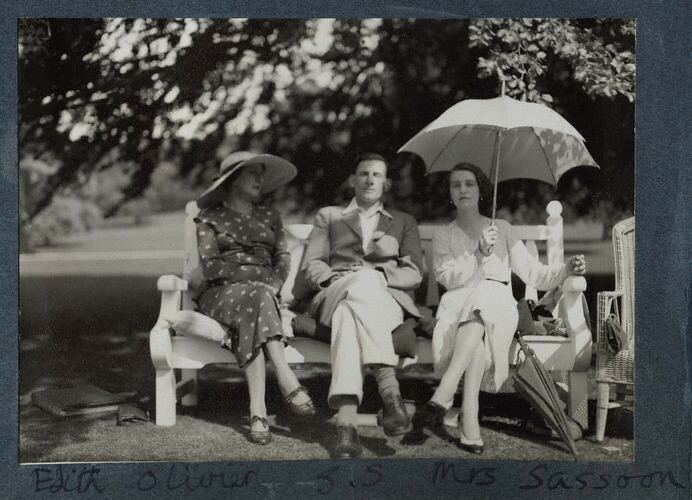 Edith Olivier was a minor British novelist who first novel was a tale of a neurotic spinster who is haunted by an imaginary child who becomes less and less imaginary. The Love-Child was published in 1927 when Olivier was 55. One of 10 children, Olivier was born in Wilton, Wiltshire. It was this country setting that influenced Olivier's most compelling works of non-fiction. For many years, Olivier served as the mayor of Wilton. While in her 50's she met and befriended a then a 19-year-old Rex Whistler. She was a confidant and hostess and her house became a refuge for many artists and writers in the 1930's, including Siegfried Sassoon, Osbert Sitwell, and Cecil Beaton. My favorite Edith Olivier book is Country Moods and Tenses. The book features a lovely Rex Whistler cover (as does Cecil Beaton's Ashcombe.) Olivier takes the five grammatical moods: Infinitive, Imperative, Indicative, Subjunctive and Conditional and uses them as divisions to revel the different aspects of country life. There is a beauty in her innate understanding of the sense of place in which she lives and lived her entire life. There is also a kind of disconnect as her circle of friends are very much products of the city but it is the soil of Wiltshire that is in her blood. The scholarly take of Edith Olivier is one of missed potential. Her early success at Oxford and her privileged upbringing and ambition led many to feel that her late start at writing and relative poverty were signs of failure. I disagree. Love-Child was reprinted as a Virago Modern Classic with an introduction by Hermione Lee and is well worth a read. Edith Olivier's book titles intrigue me. or On the Way to Jane's Grandmother's? I enjoyed the post - lovely photos. A minor piece of trivia that you might be interested in - Edith Olivier was distantly related to the actor Laurence Olivier. 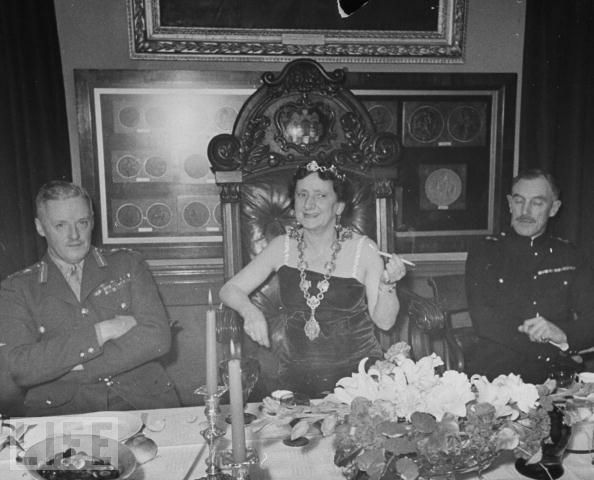 I think Edith’s uncle Henry was Sir Laurence’s grandfather. Dear Lucindaville, I have been most interested to read this posting which you have complemented wonderfully by such handsome photographs. I recently wrote about the Whistler mural which decorates the Tate gallery's dining room in London and which, I am sure you are aware, was a collaboration between Whistler and Olivier. 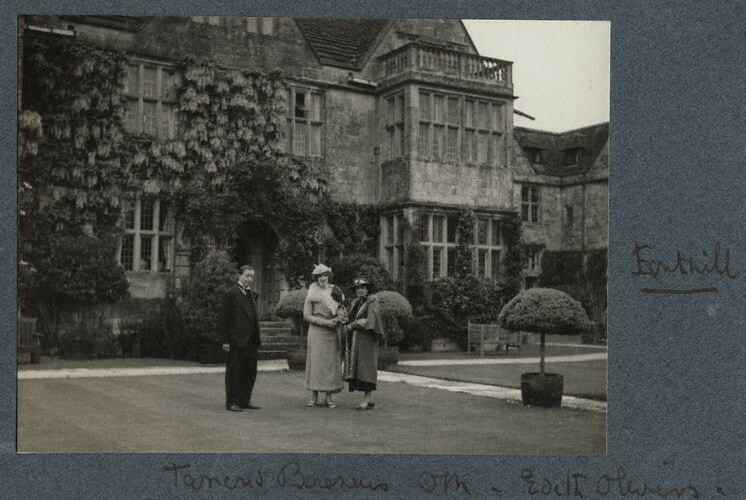 So, your posting of today gave a further insight into this rather ephemeral of C20th novelists. I am so pleased to have discovered your weblog and have signed up as a Follower in order to keep in touch. I'm just catching up----love, love, love this post. I'm coming very late to this, but what a lovely post! Where did you get the photograph images from, I'd love to know? 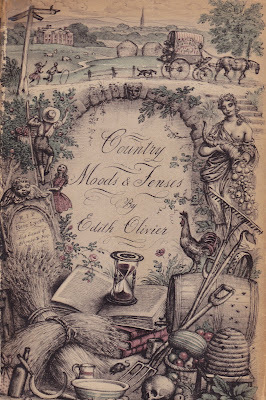 The Love-Child is one of my favourite books, and although the other Oliviers haven't lived up to it (those that I've read, that is) I have now ordered Country Moods and Tenses on your recommendation! awesome set of vintage photos ! do you have more sweetheart?